Accurate EC and pH control has become a major factor of modern nutrition systems. Soil-less cultures and even open field farming nowadays require a good control of the electro conductivity and the acidity of the irrigated water, that’s what the FERTMASTER was designed for. It is a highly efficient tool capable of handling up to 6 injectors, 1 booster pump, 1 main valve/ water pump which alternatively can be replaced by an agitator. The system is available in two forms: in the stand-alone form, the user defines formulas containing the desired combinations and the desired concentrations of the fertilizers. Once set the user can activate manually or via a command signal from an irrigation controller. In the second form, the unit functions as a slave of the DREAM 2 irrigation controller. In this case, a single DREAM 2 may control several FERTMASTER units loading them with the requirements through serial communication returning data of the process on a real-time basis. Software tools simplify the process of setting up and adjusting the nutrition system. 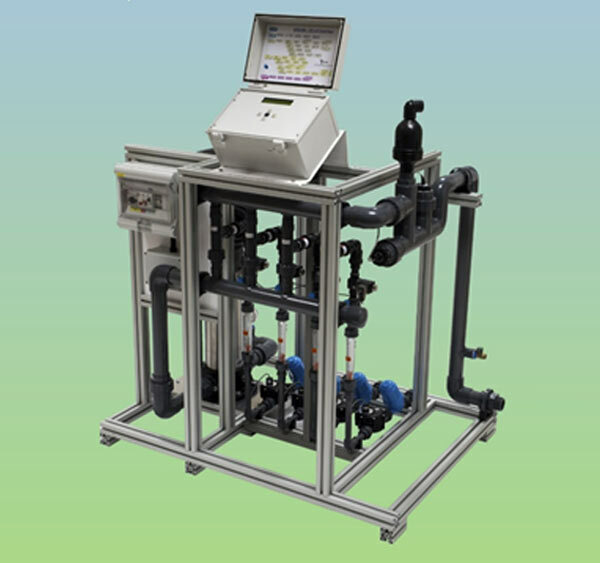 Tools for automatic calibration and measuring of important system parameters such as the actual flow of the injectors and the control system latency is included. The system latency expresses the delay between injection and sensing of the results by the sensors as it happens in the specific system.